The Texas School of the Air organized in 1939, by several Parent/Teacher groups, teacher education institutions, and the State Department of Education. In the beginning the effort was without state funding, but in two years it was a state funded division of the Texas Department of Education. By 1944 seventy percent of the schools in the state made use of the service, which was designed to serve children of all ages and adult education as well. "Radio today is a great instrument of education. 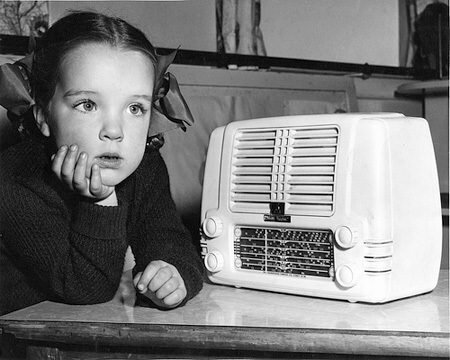 With its vast array of drama, music, forums, interviews, world-wide news reports and commentaries, and specialized school broadcasts, radio is potentially as important a medium of education as the school itself. This is a fact which teachers, parents, and the public in general should recognize," wrote educator John W. Gunstream in a 1944 article. 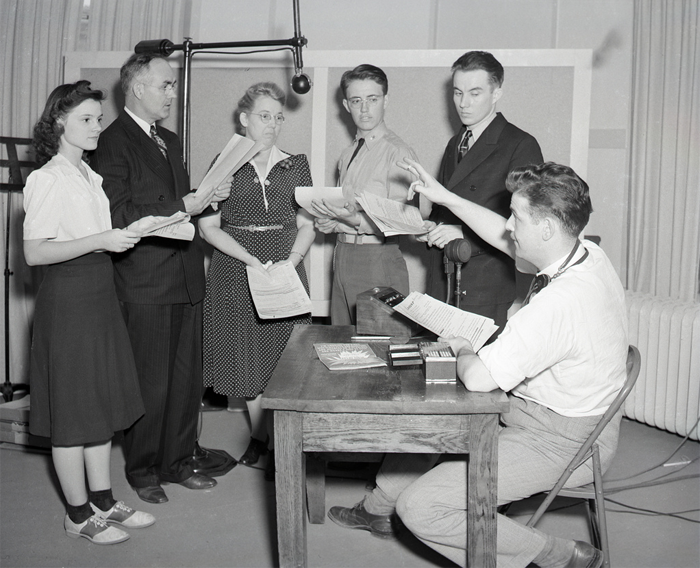 In 1944, the School of the Air broadcast Monday through Friday for 28 weeks beginning the first week in October, and taking a two week recess at Christmas. The programs were carried by seven stations around the state, ensuring coverage of nearly every school facility. Broadcast hour was 11:15 to 11:30. Monday featured Your Story Parade, Which presented children's stories for pre-school and primary aged students. Fare for progressively older students in a variety of subjects was presented as the week progressed. Your Story Parade featured scripts by Wesley Davis, hosted by John Allen, and featuring Helen Kelly as "Your Story Parade Lady". The adaptations of standard children's classics are very well done. Allen and Kelly apparently do all of the voices, and are accompanied by a lively organ and a very competent sound effects technician. The program opens with a parade being described in song, while Ms. Kelly's presentation is uniformly sunny. The stories included in the series are The Valiant Tailor, King Midas, The Gingerbread Man, Thumbelina, Hansel and Gretel, Little Black Sambo, and others. These are classic kids tales, but they are entertaining enough for everyone. Just be forewarned; stories like The Gingerbread Man and King Midas, which traditionally have more of a lesson than a happy ending are modified for the primary audience, so as not to cause crying kiddies! Be the first to comment on "Your Story Parade (Texas School of the Air)"